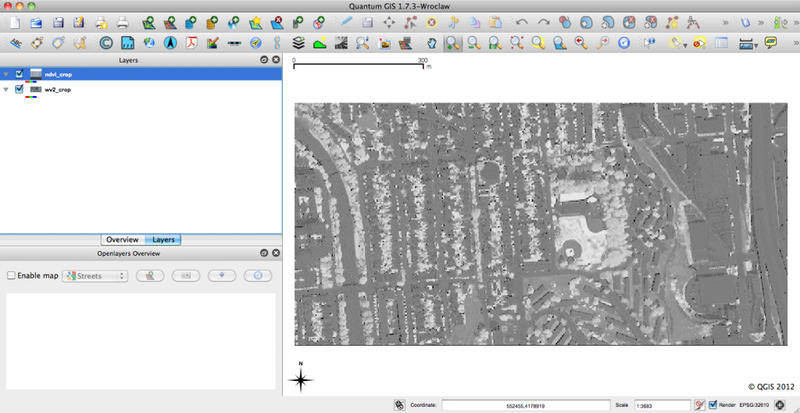 QGIS is an open-source geographic information system that is familiar to many geospatial professionals. 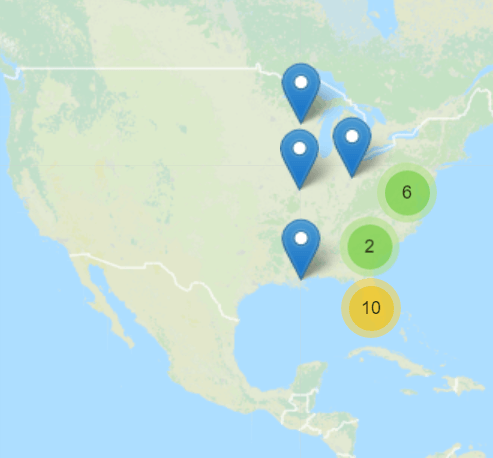 I find more and more that I’m able to use QGIS for most of my GIS needs and this is in large part due to the great plug-ins that are available. 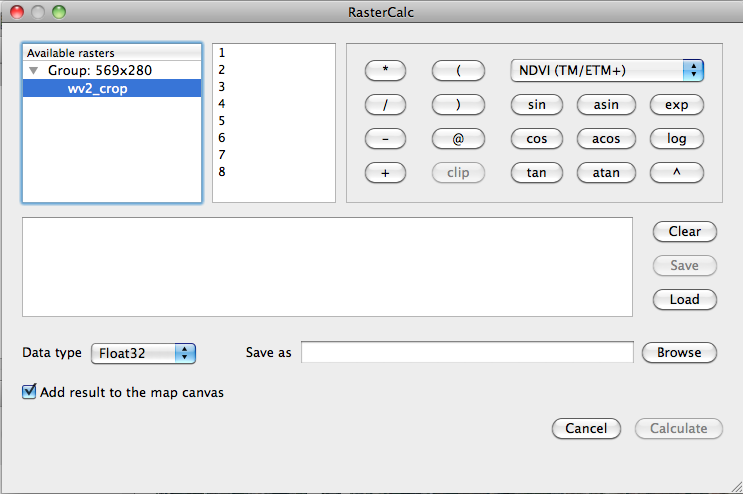 In this post I want to give an overview of one of my favorite plug-ins, RasterCalc. though this may vary by system. 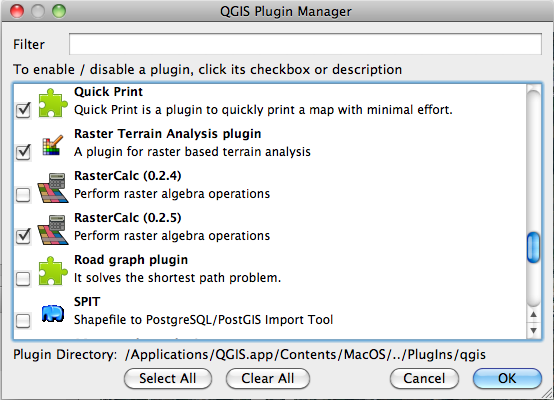 After enabling the plugin, you will now find it in your QGIS toolbar. You can see we have access to basic mathematic and trigonometric functions. 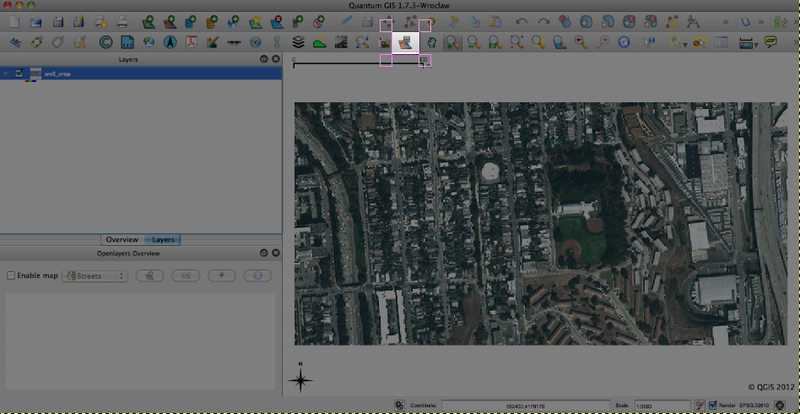 Additionally we can output the calculated data to a file or drop it into the existing canvas. 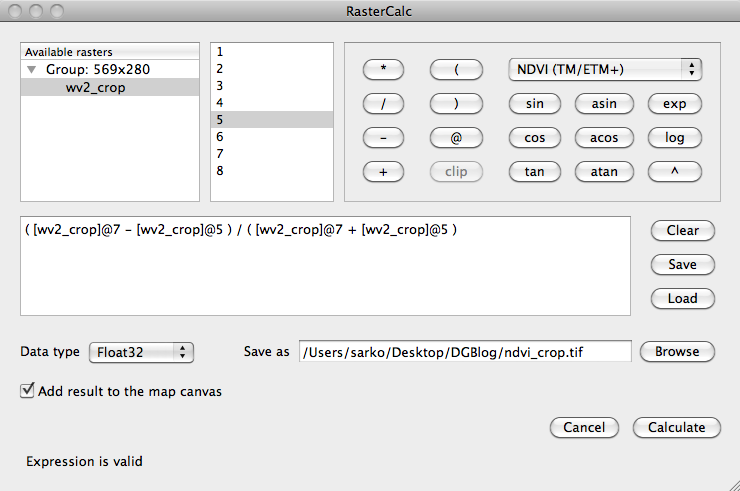 In this case, I’ll calculate a simple NDVI based on bands 7 and 5. I’ve scaled the data and you can clearly see that the trees and grass in the previous true-color image are now represented by high values, as you expect from NDVI. A simple example, but a powerful tool. Thank you for reading. If you have ideas of other plugins to highlight, please leave a comment.